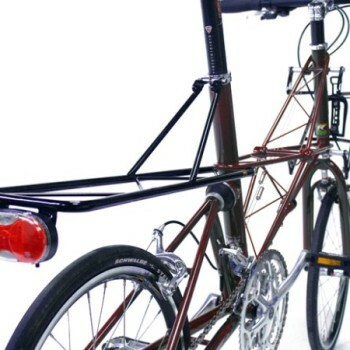 Rear carrier base unit, designed for Carradice Rack bag (13L) or Moulton’s special TSR rack bag (24L). 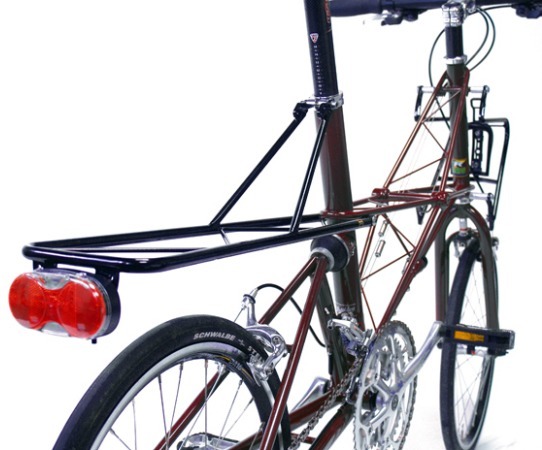 Made from Reynolds 525 tube, with mount on rear for lamp. Weight limit 10kg (16kg with TSR Rack bag).